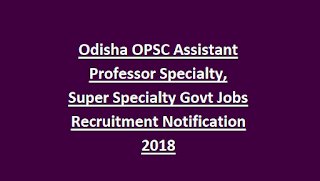 residents who qualified PG with 3 years work experience they are eligible to apply online for this Odisha OPSC Assistant Professor jobs. 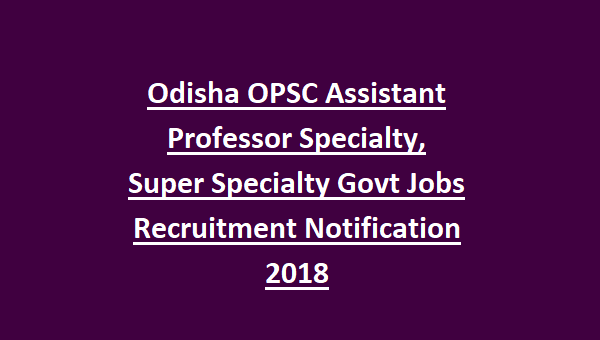 Online applications are accepted from 25-10-2018 to 24-11-2018 for this OPSC Assistant Professor Specialty Jobs recruitment. Official website to apply online is www.opsconline.gov.in. Apply online through official website of www.opsconline.gov.in.